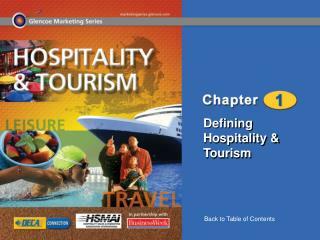 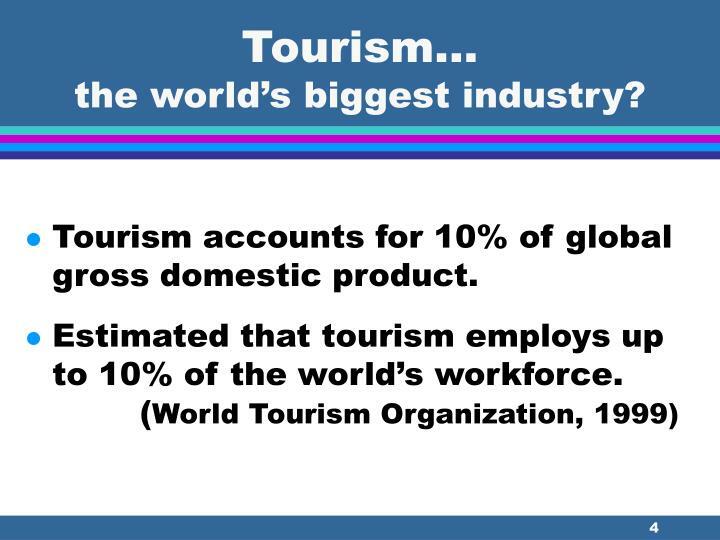 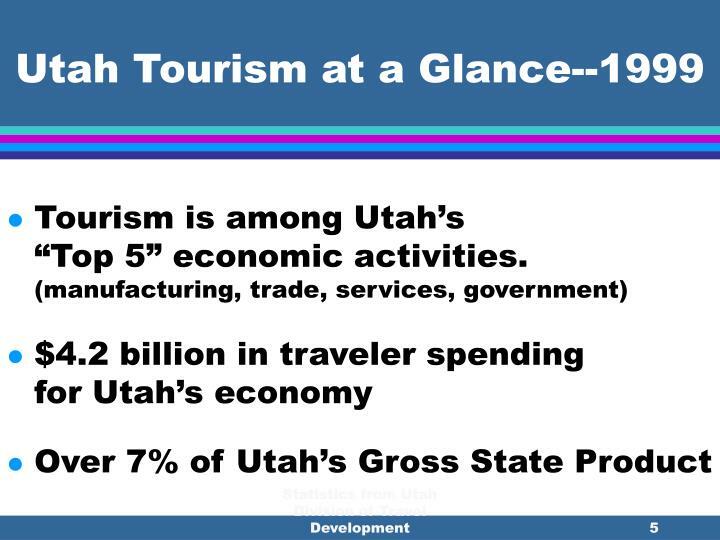 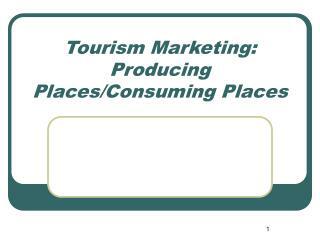 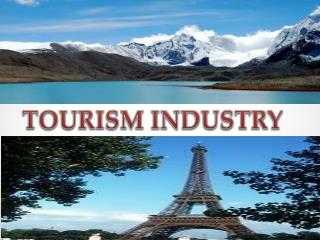 Tourism accounts for 10% of global gross domestic product. 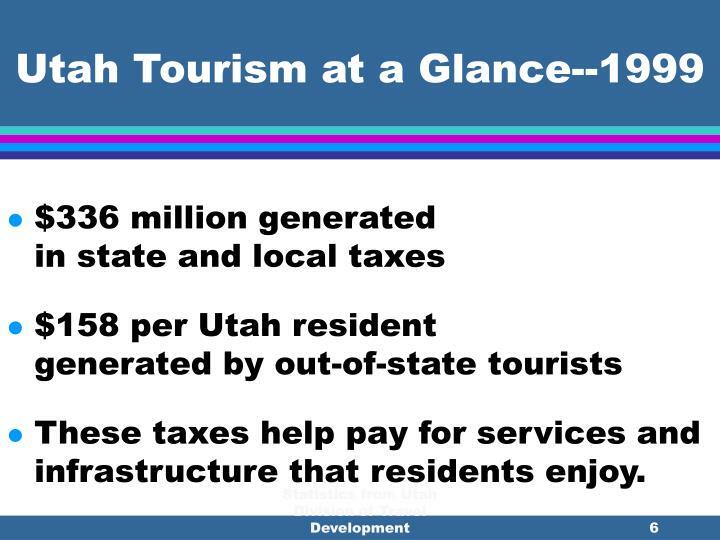 These taxes help pay for services and infrastructure that residents enjoy. 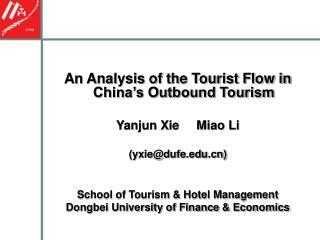 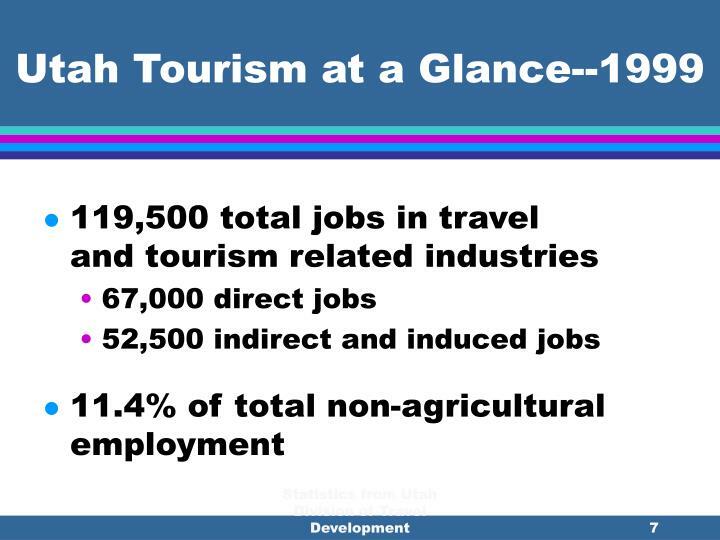 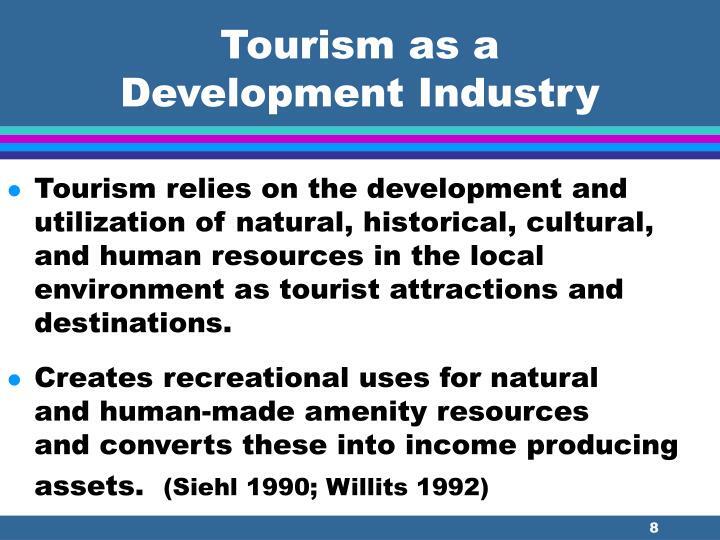 Tourism relies on the development and utilization of natural, historical, cultural, and human resources in the local environment as tourist attractions and destinations. 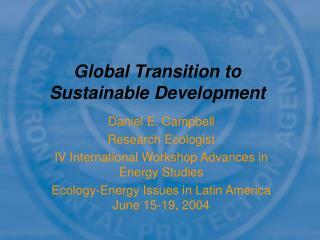 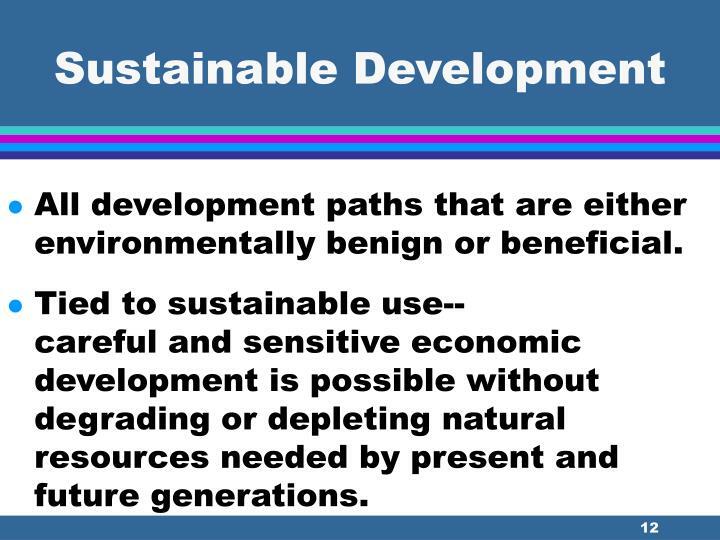 All development paths that are either environmentally benign or beneficial. 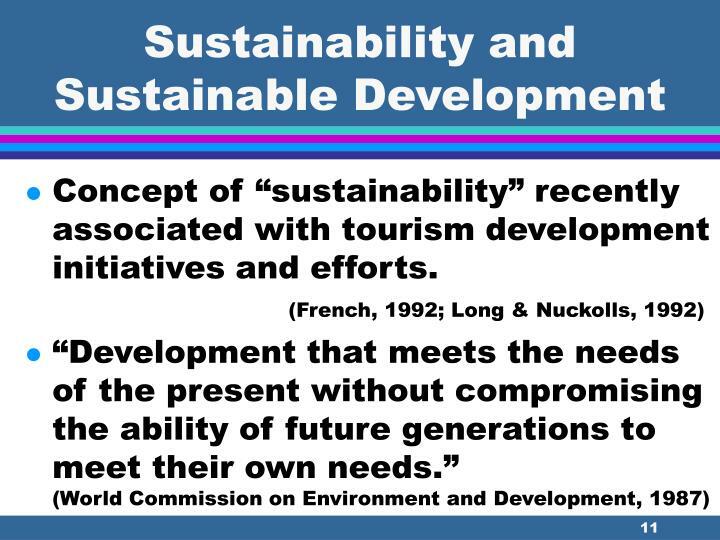 Tied to sustainable use-- careful and sensitive economic development is possible without degrading or depleting natural resources needed by present and future generations. 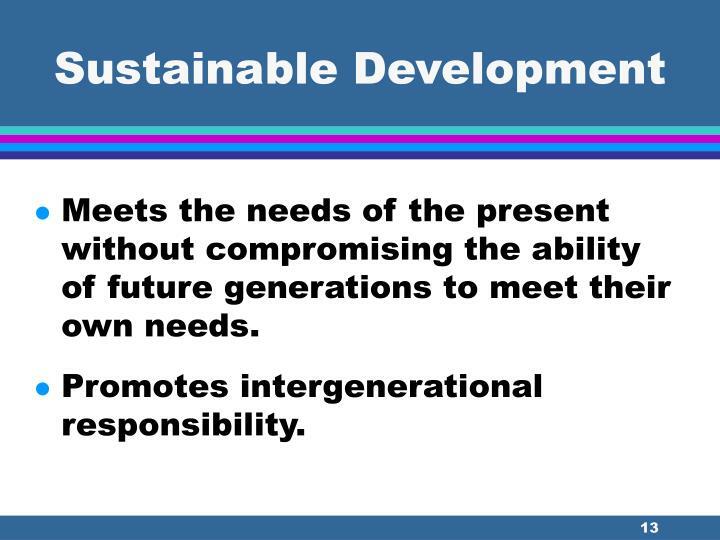 Meets the needs of the present without compromising the ability of future generations to meet their own needs. 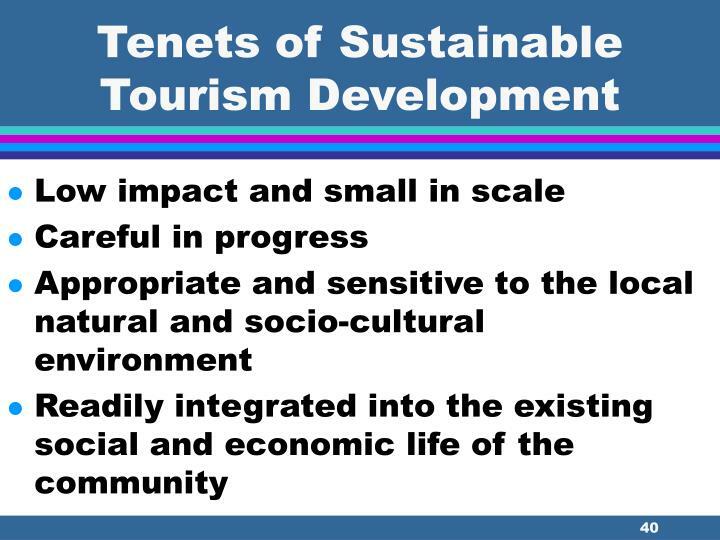 Can Tourism Development Really Be Sustainable? 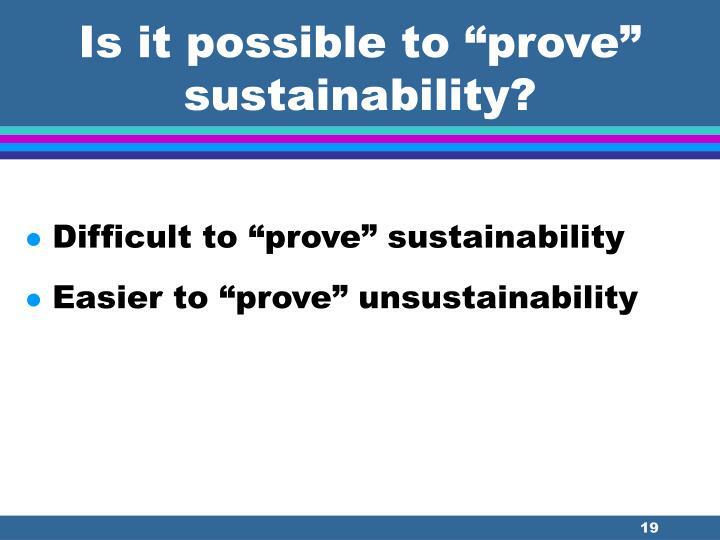 Is it possible to “prove” sustainability? 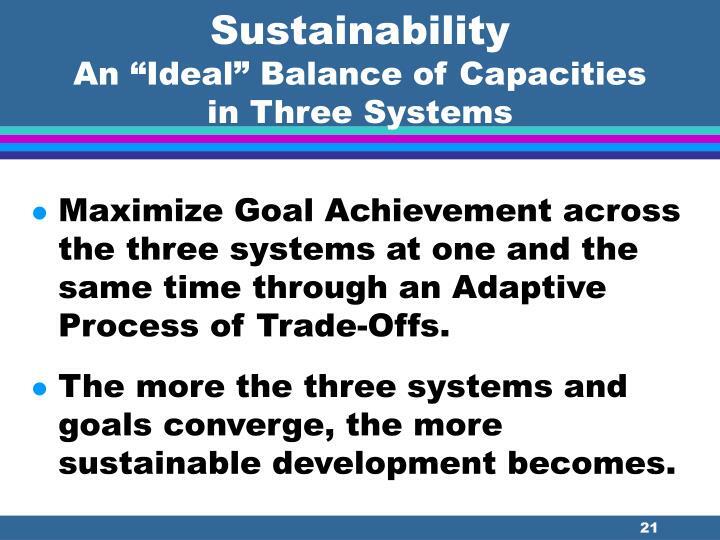 Maximize Goal Achievement across the three systems at one and the same time through an Adaptive Process of Trade-Offs. 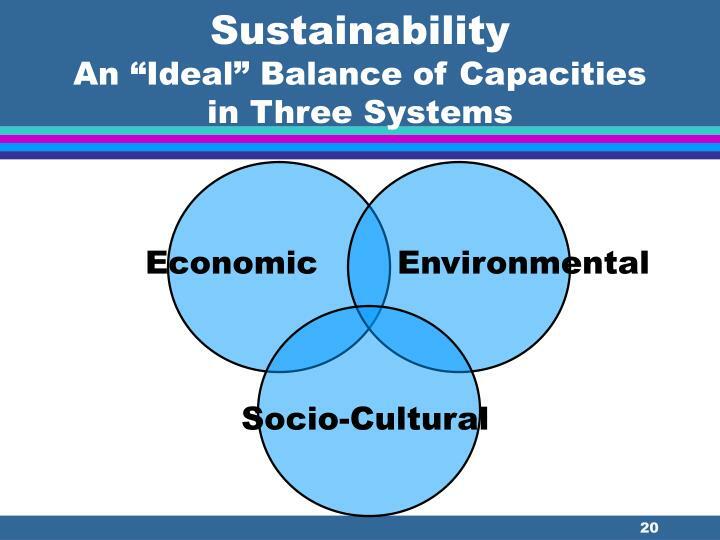 The more the three systems and goals converge, the more sustainable development becomes. 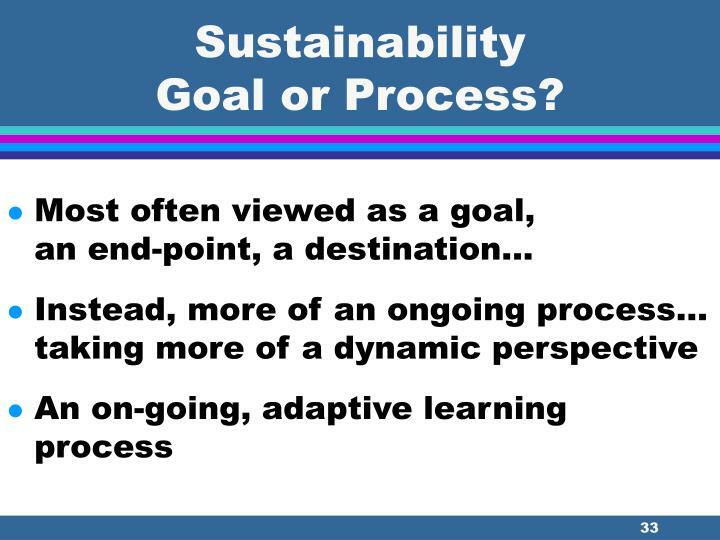 Not possible to maximize all goals at the same time through an adaptive process of trade-offs. 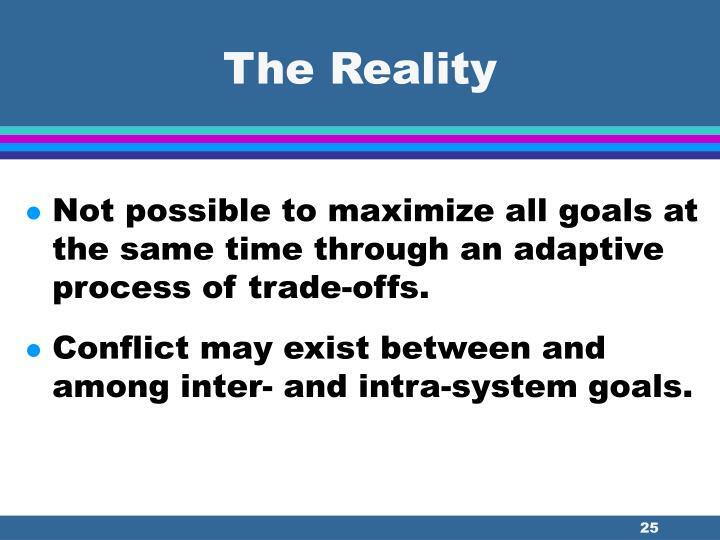 Conflict may exist between and among inter- and intra-system goals. 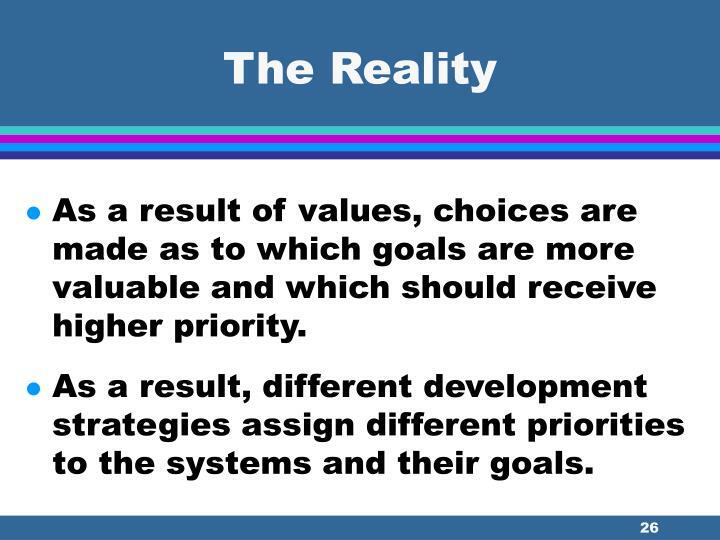 As a result of values, choices are made as to which goals are more valuable and which should receive higher priority. 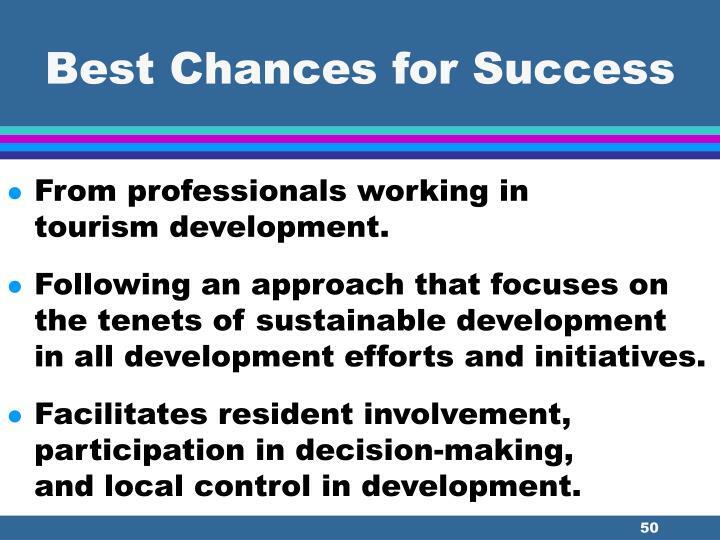 As a result, different development strategies assign different priorities to the systems and their goals. 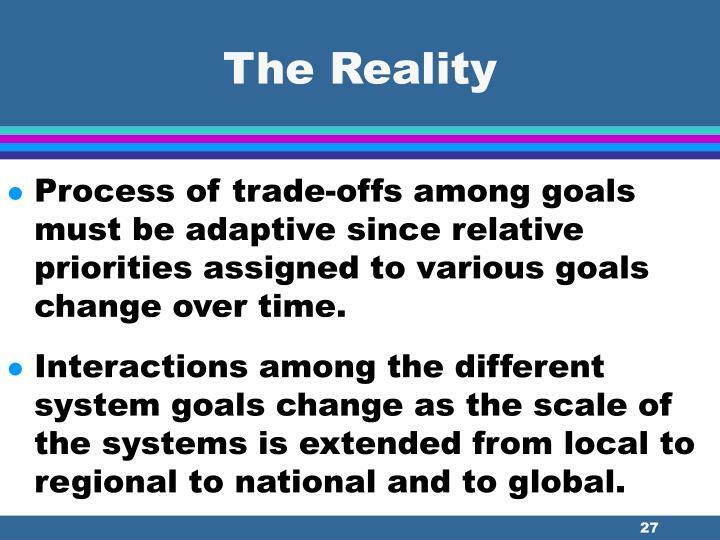 Process of trade-offs among goals must be adaptive since relative priorities assigned to various goals change over time. 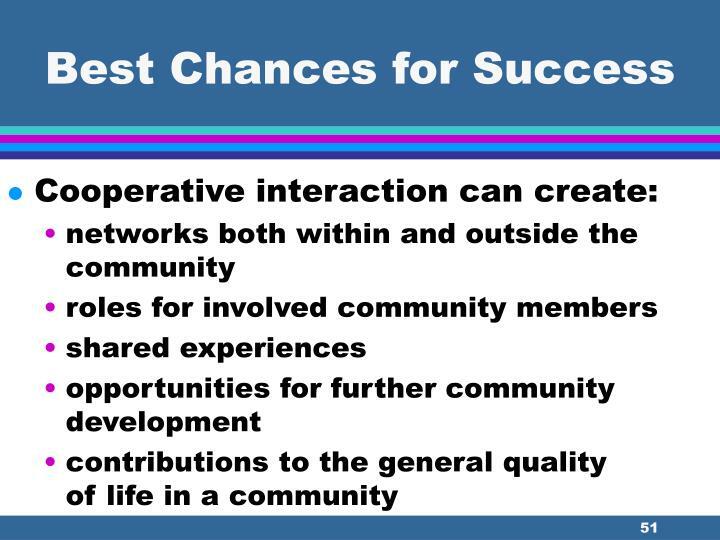 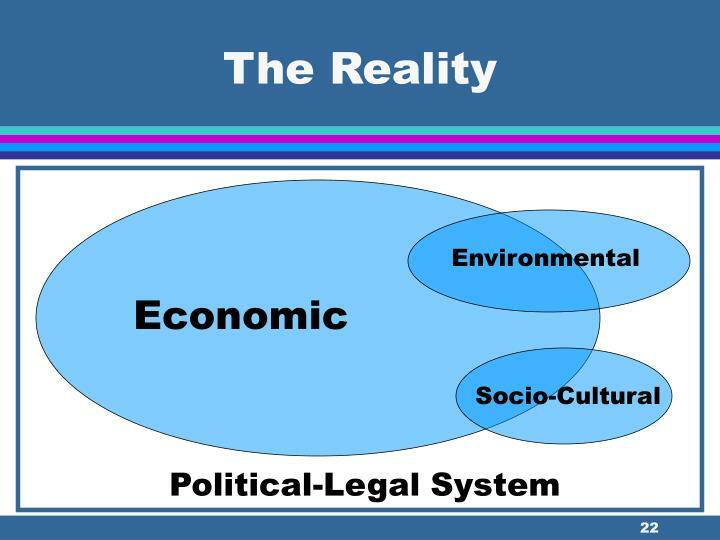 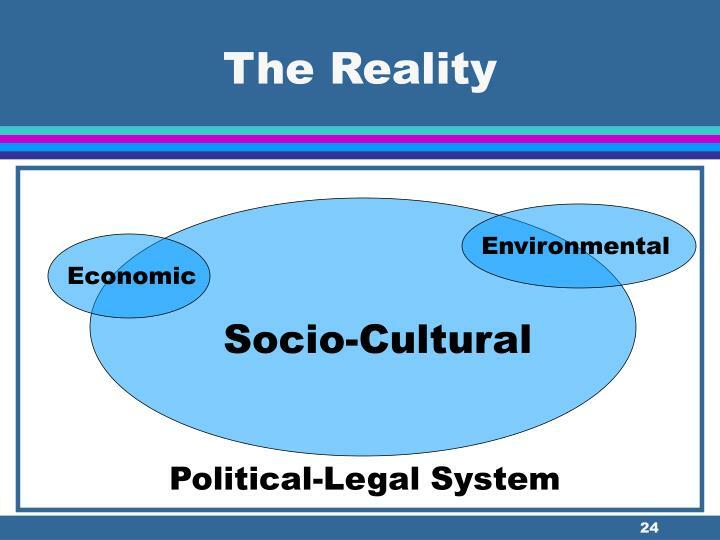 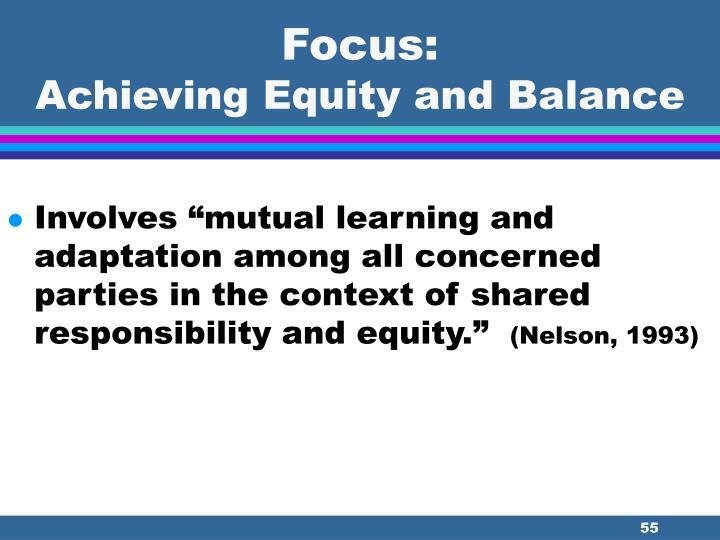 Interactions among the different system goals change as the scale of the systems is extended from local to regional to national and to global. 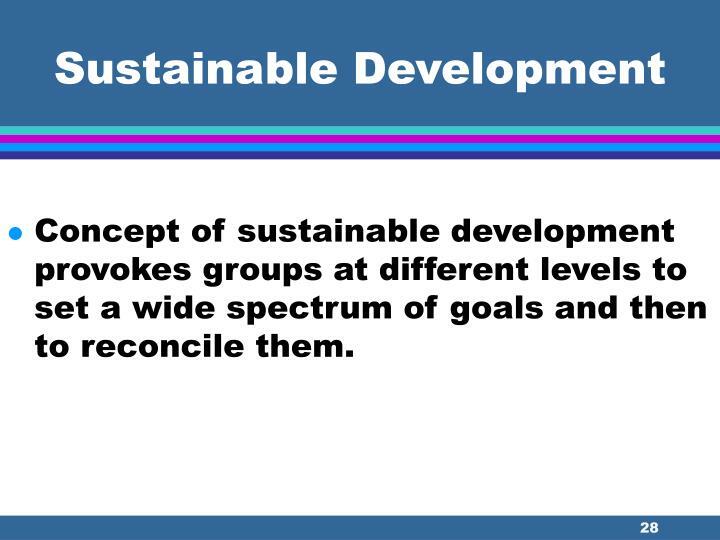 Concept of sustainable development provokes groups at different levels to set a wide spectrum of goals and then to reconcile them. 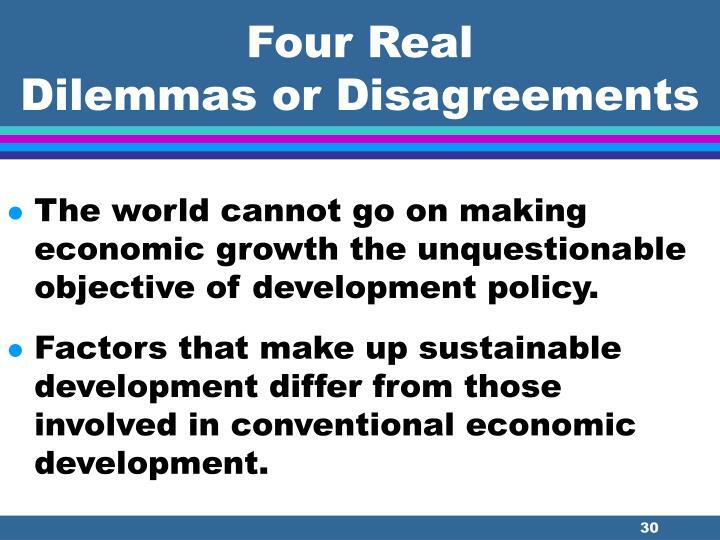 The world cannot go on making economic growth the unquestionable objective of development policy. 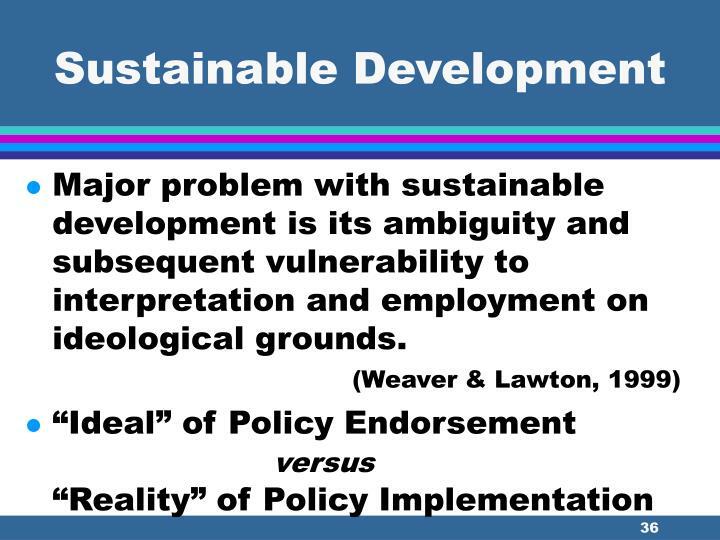 Factors that make up sustainable development differ from those involved in conventional economic development. 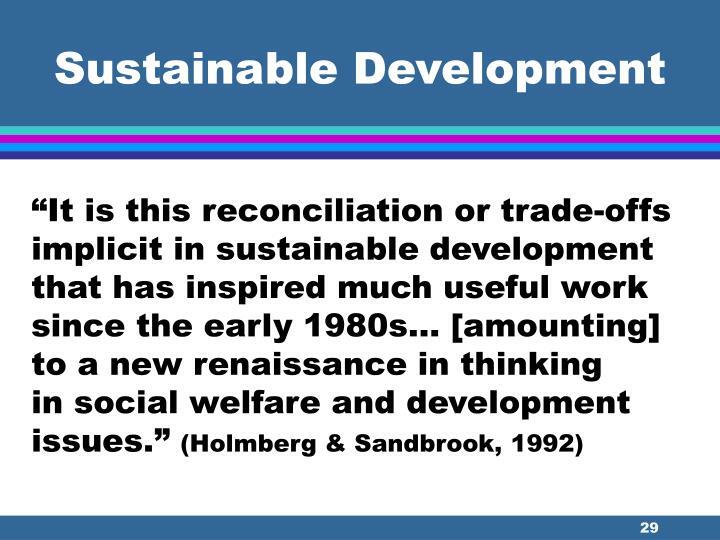 How do we answer the question for whom is development, and what is to be conserved by making it sustainable? 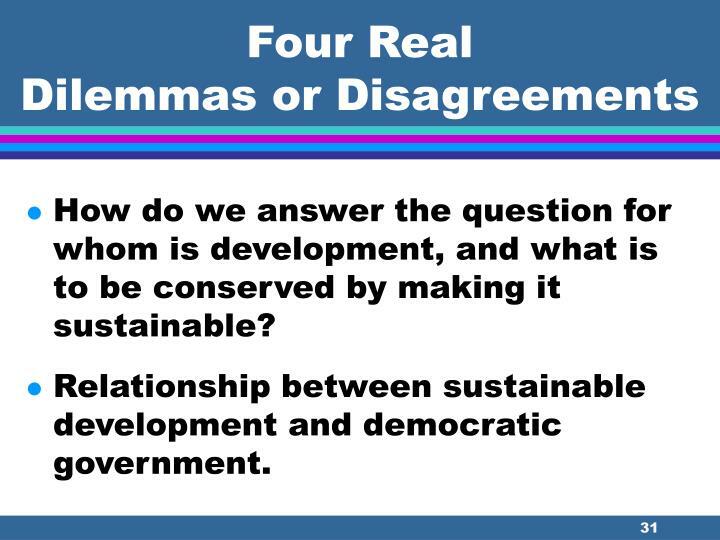 Relationship between sustainable development and democratic government. 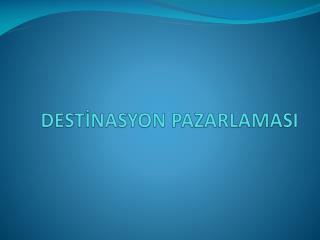 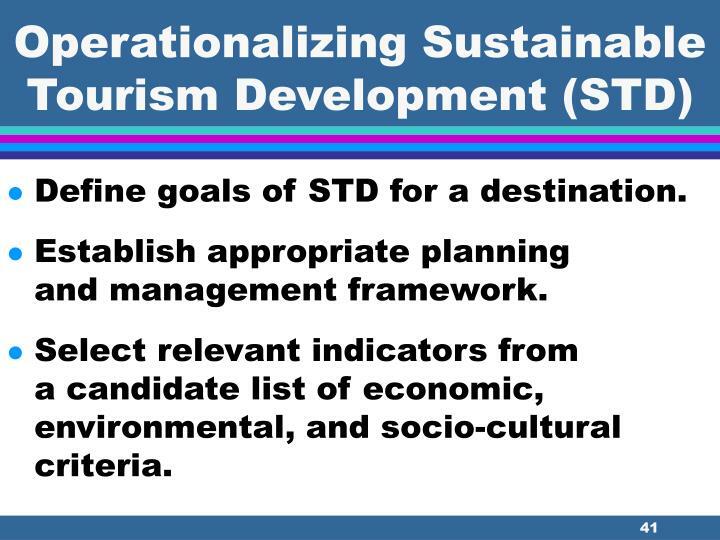 Define goals of STD for a destination. 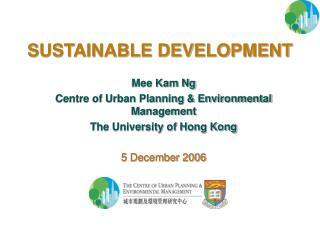 Establish appropriate planning and management framework. 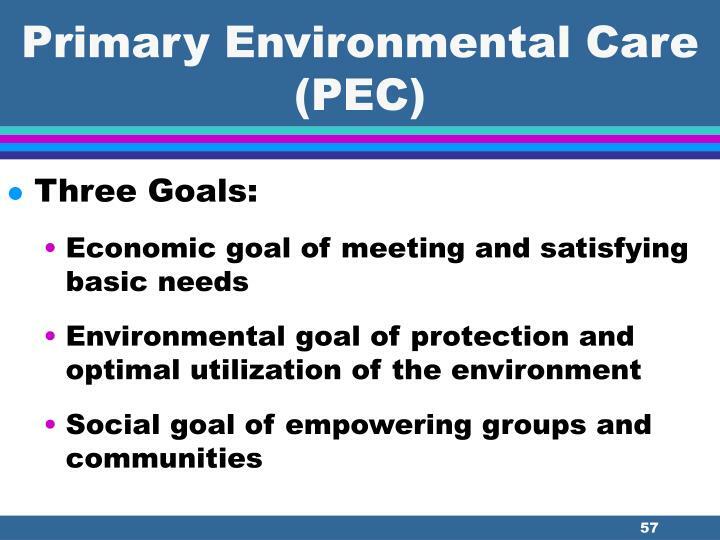 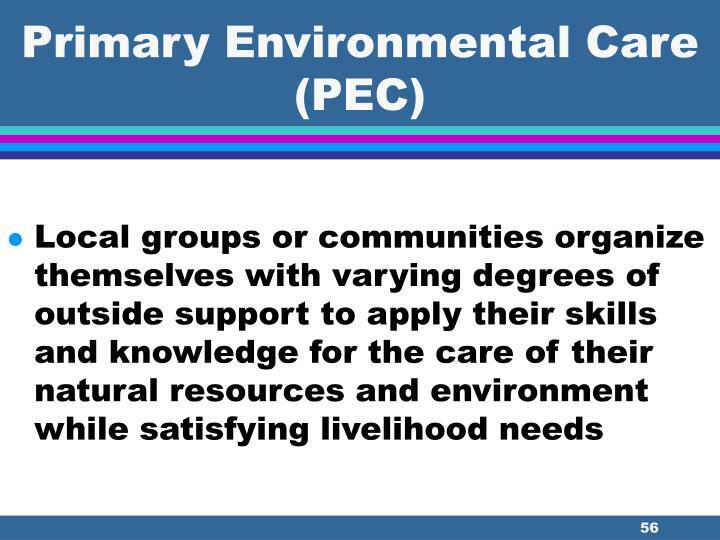 Select relevant indicators from a candidate list of economic, environmental, and socio-cultural criteria. 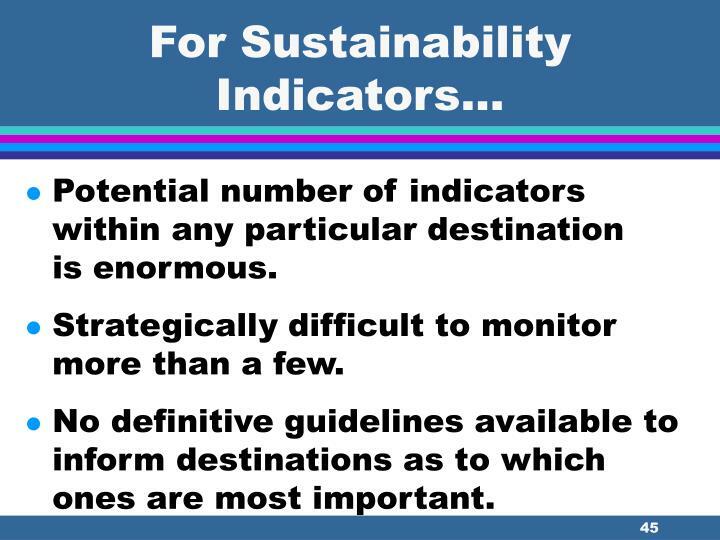 Measure and monitor these indicators. 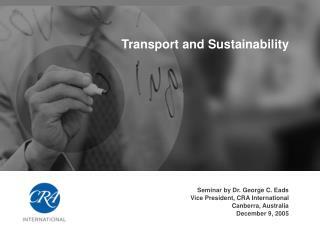 Periodically analyze and assess indicator performance. 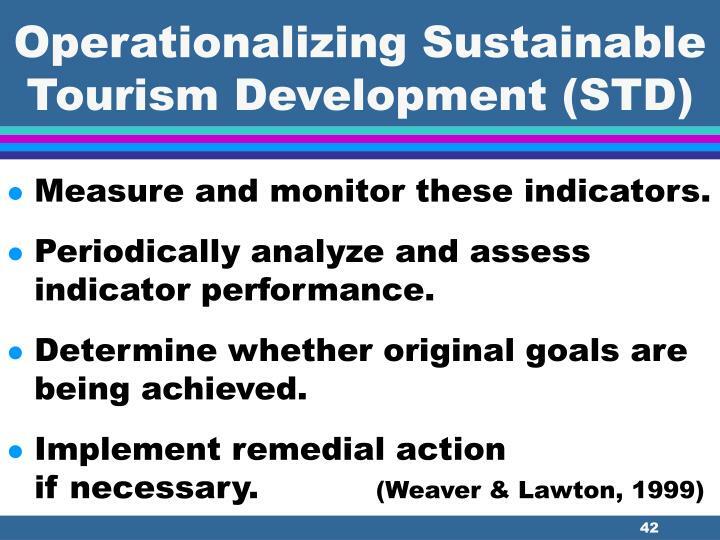 Determine whether original goals are being achieved. 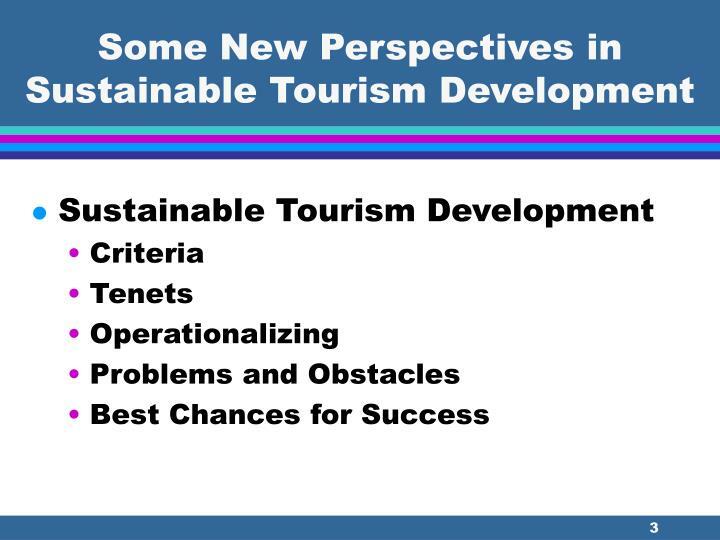 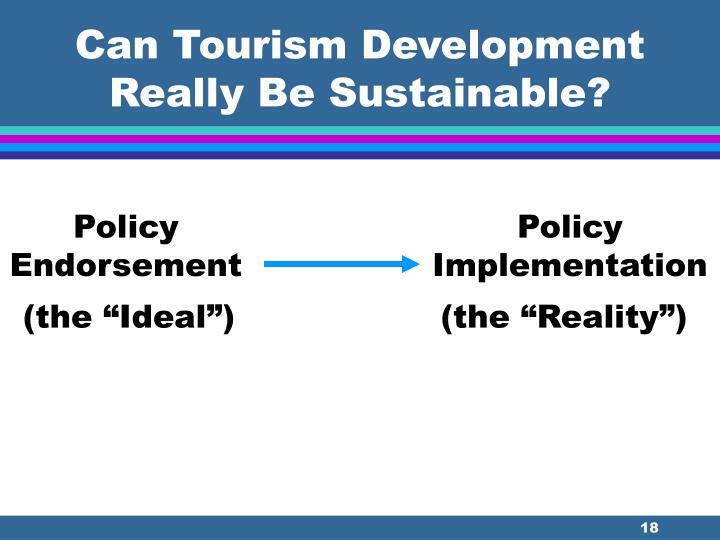 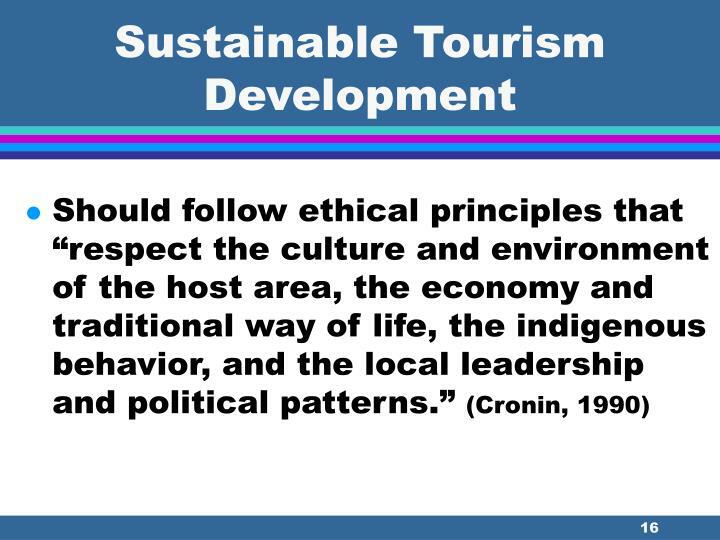 Sustainable tourism development goals influenced by ideological considerations--lack of common ground often evident. 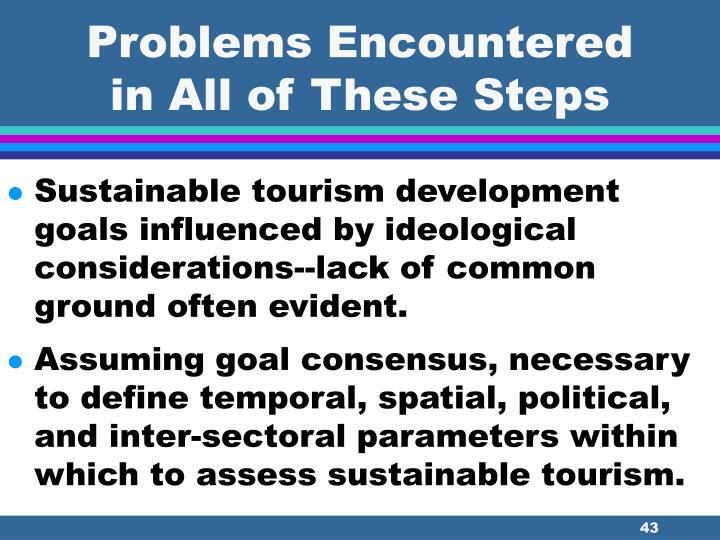 Assuming goal consensus, necessary to define temporal, spatial, political, and inter-sectoral parameters within which to assess sustainable tourism. 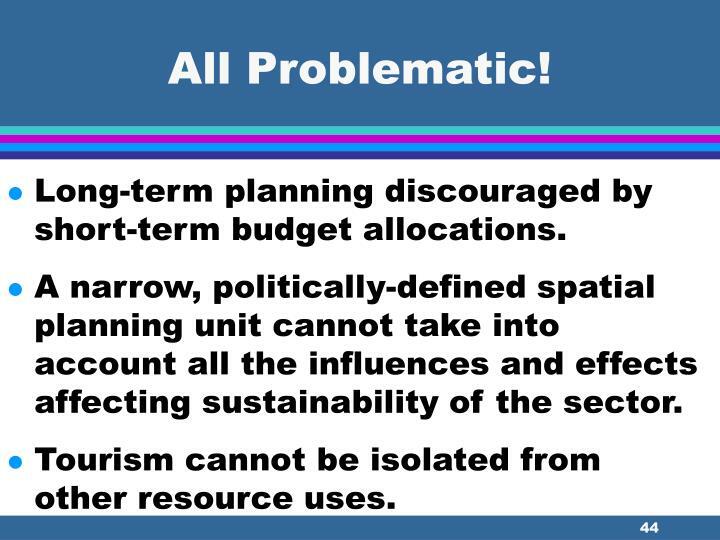 Long-term planning discouraged by short-term budget allocations. 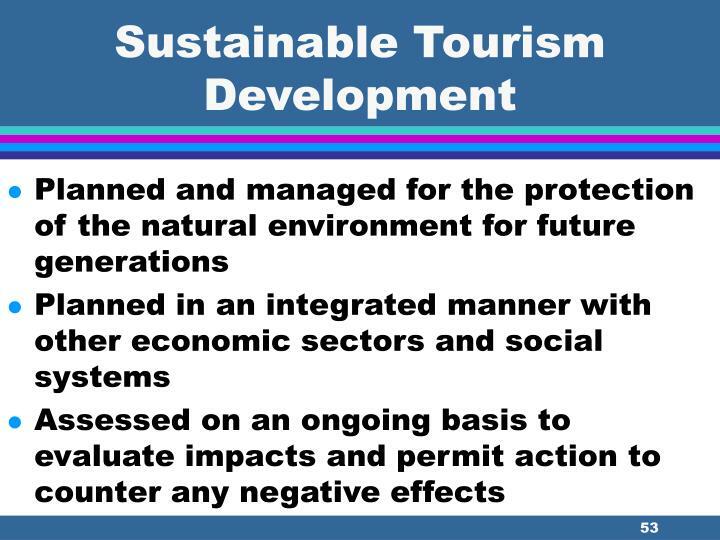 A narrow, politically-defined spatial planning unit cannot take into account all the influences and effects affecting sustainability of the sector. 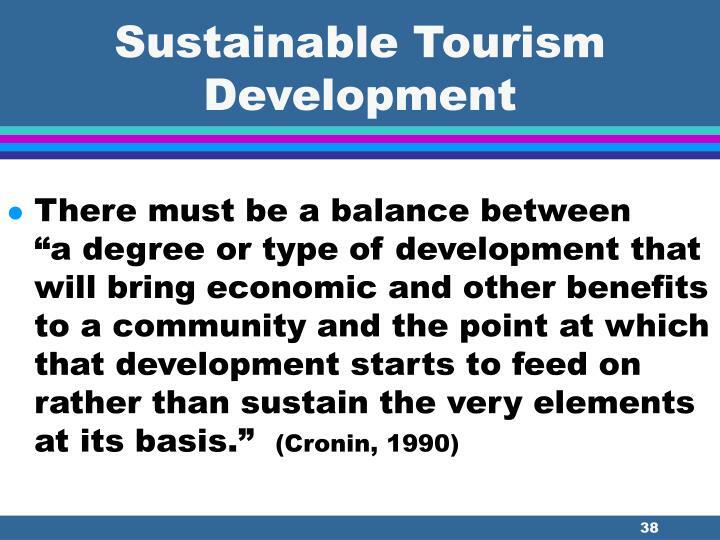 Tourism cannot be isolated from other resource uses. 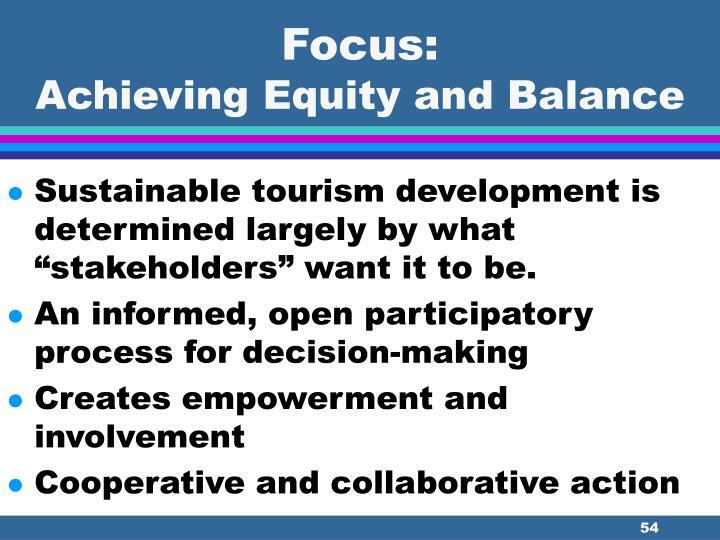 Potential number of indicators within any particular destination is enormous. 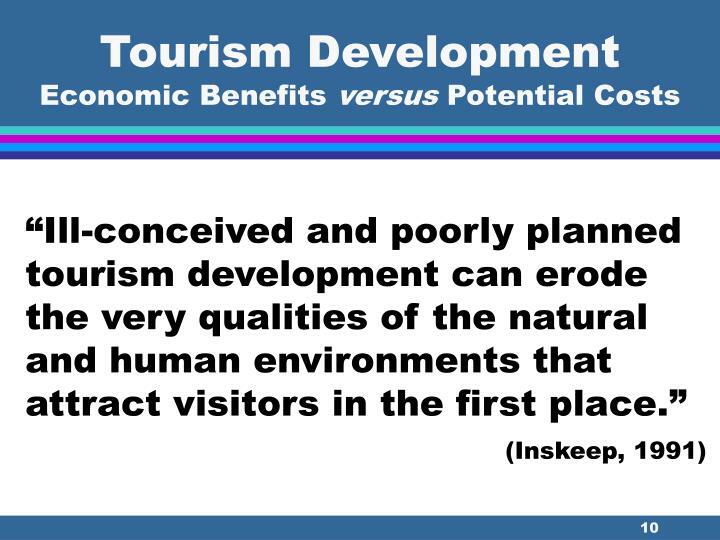 Strategically difficult to monitor more than a few. 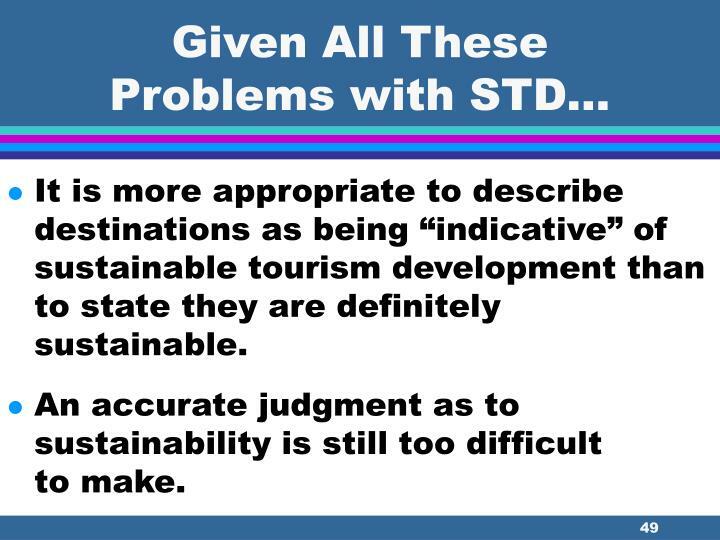 No definitive guidelines available to inform destinations as to which ones are most important. 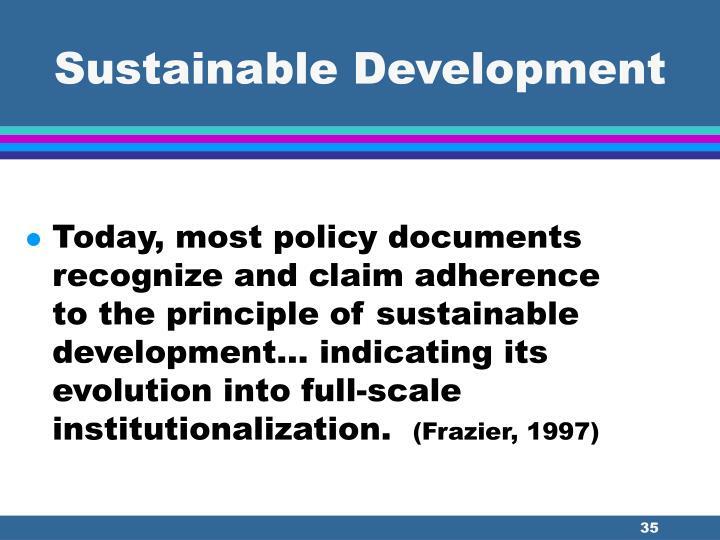 Decision to include or exclude particular indicators is ultimately a subjective exercise, highly sensitive to context. 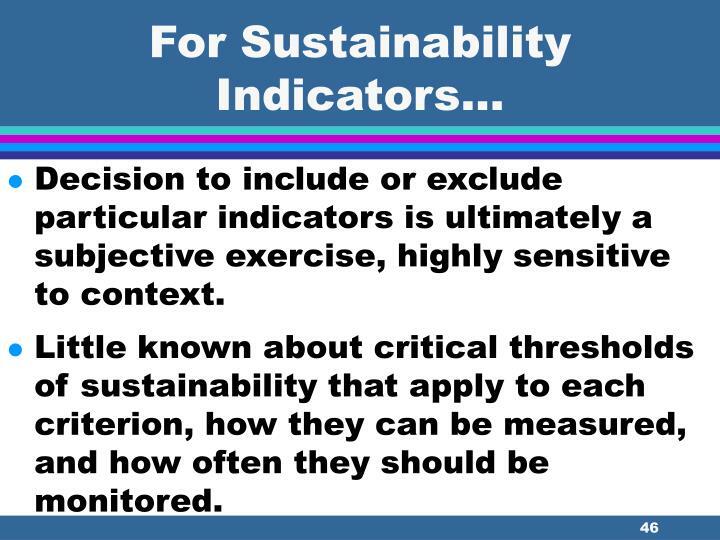 Little known about critical thresholds of sustainability that apply to each criterion, how they can be measured, and how often they should be monitored. 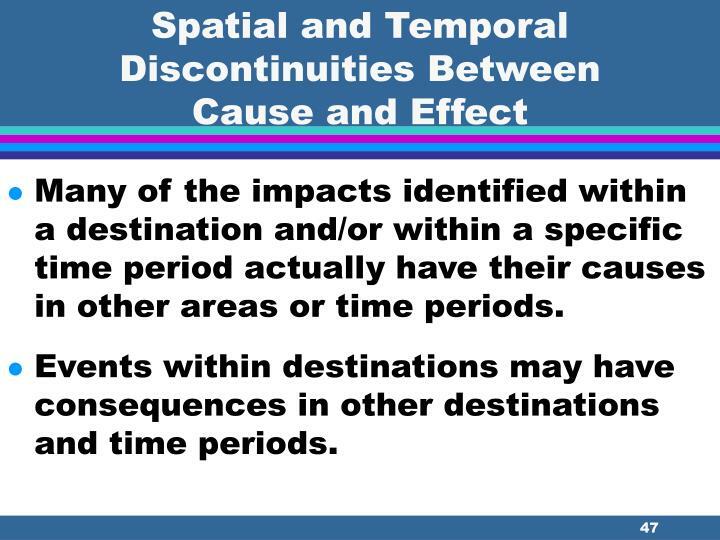 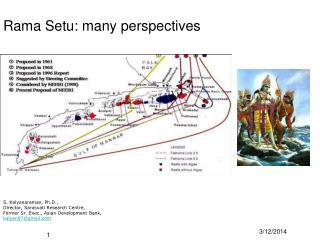 Many of the impacts identified within a destination and/or within a specific time period actually have their causes in other areas or time periods. 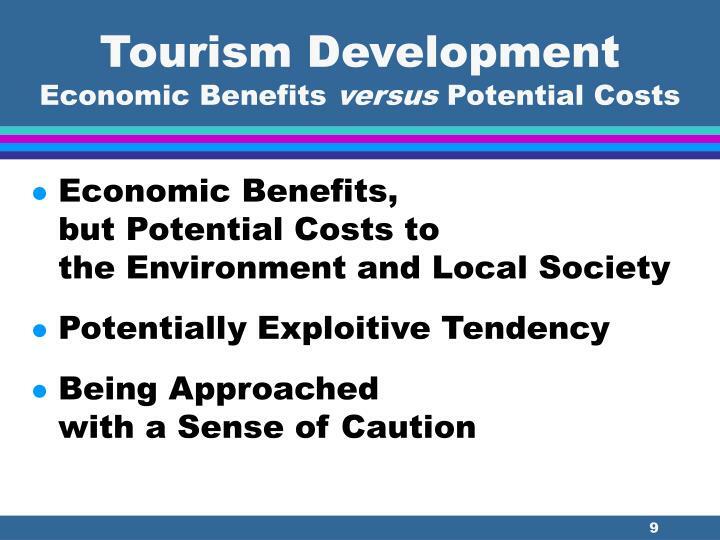 Events within destinations may have consequences in other destinations and time periods. 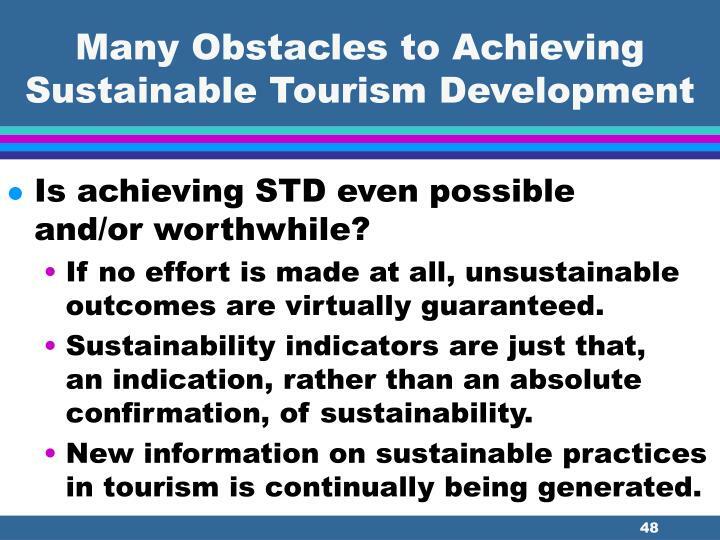 Is achieving STD even possible and/or worthwhile? 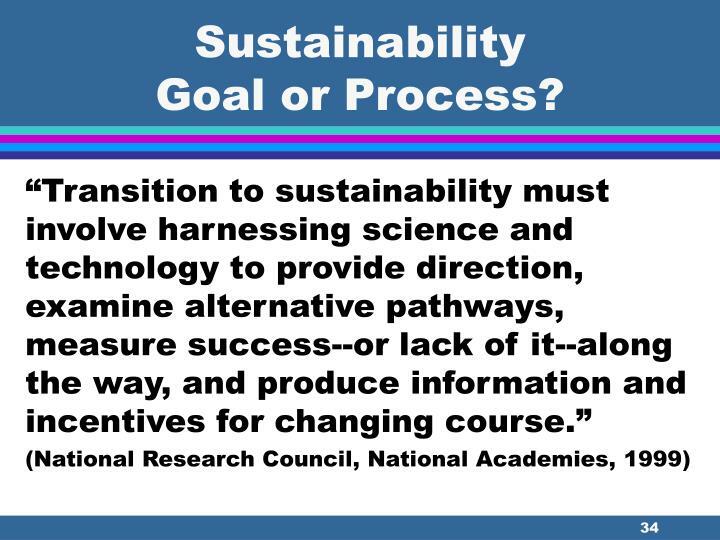 If no effort is made at all, unsustainable outcomes are virtually guaranteed. 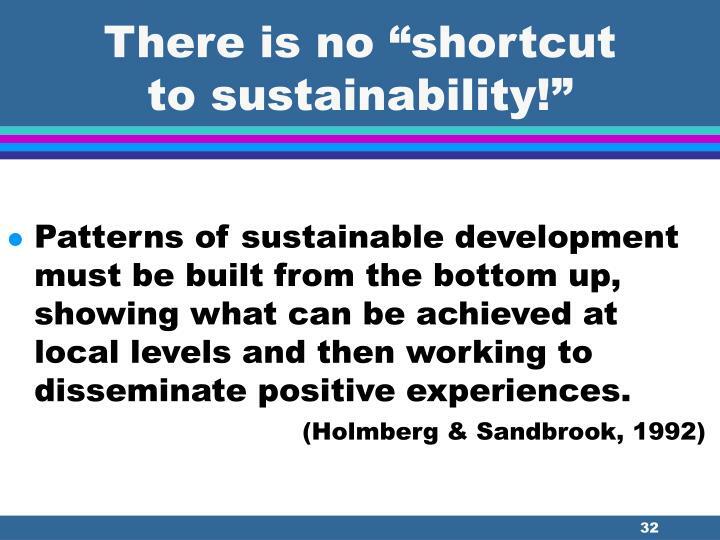 Sustainability indicators are just that, an indication, rather than an absolute confirmation, of sustainability. 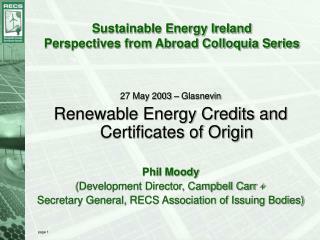 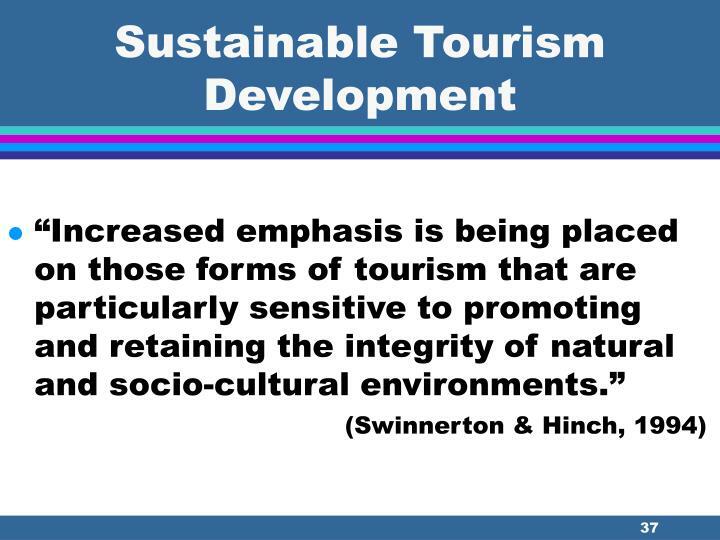 New information on sustainable practices in tourism is continually being generated. 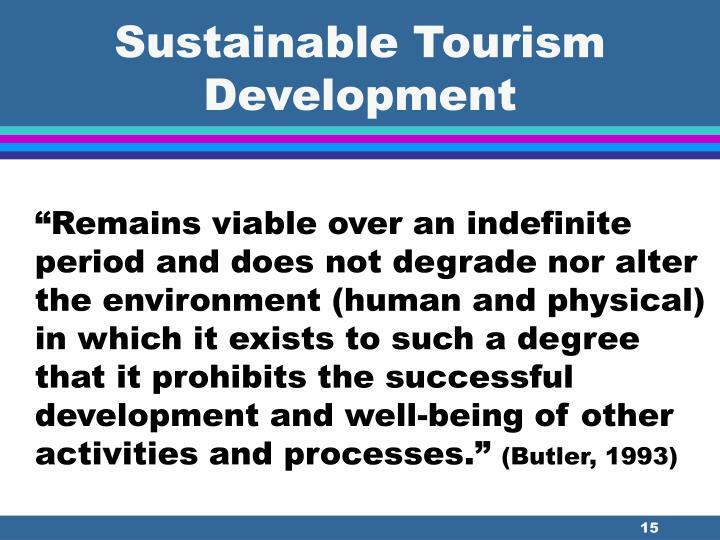 It is more appropriate to describe destinations as being “indicative” of sustainable tourism development than to state they are definitely sustainable. 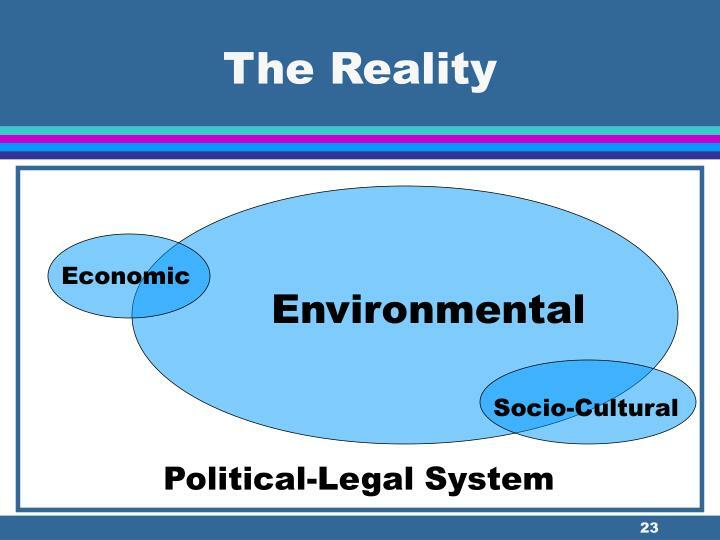 An accurate judgment as to sustainability is still too difficult to make. 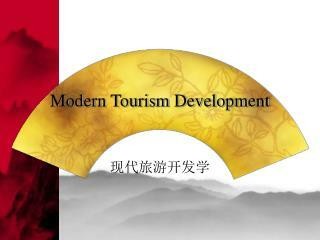 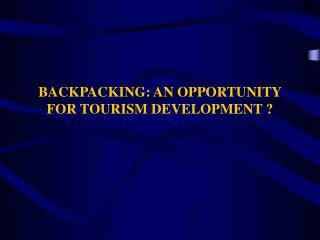 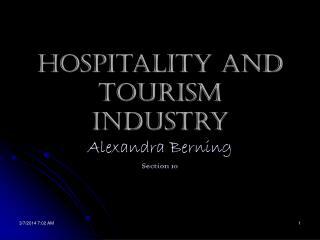 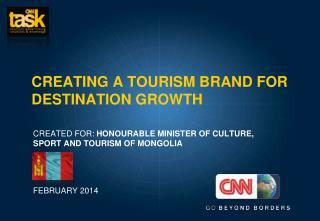 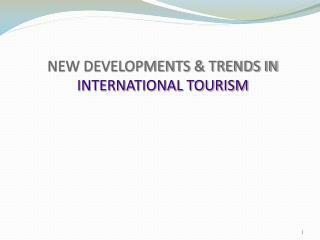 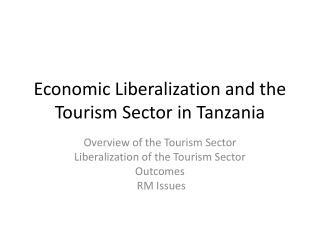 From professionals working in tourism development. 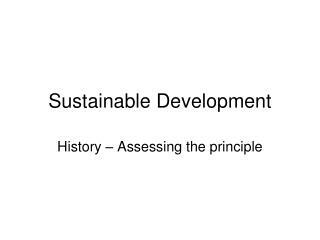 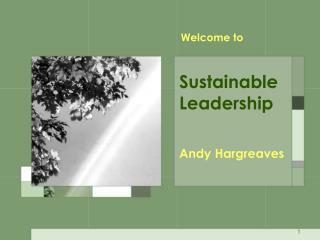 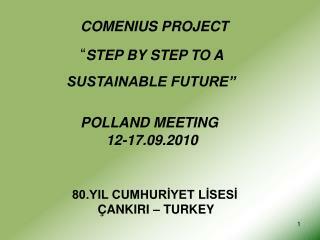 Following an approach that focuses on the tenets of sustainable development in all development efforts and initiatives. 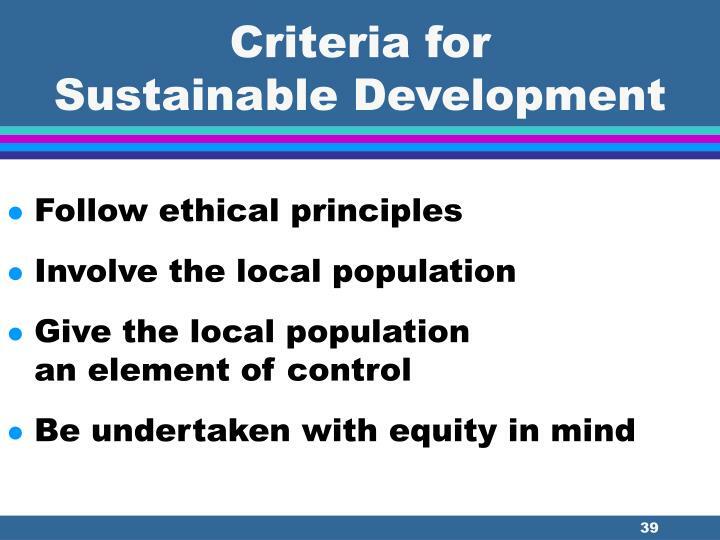 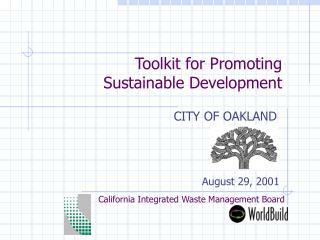 Facilitates resident involvement, participation in decision-making, and local control in development. 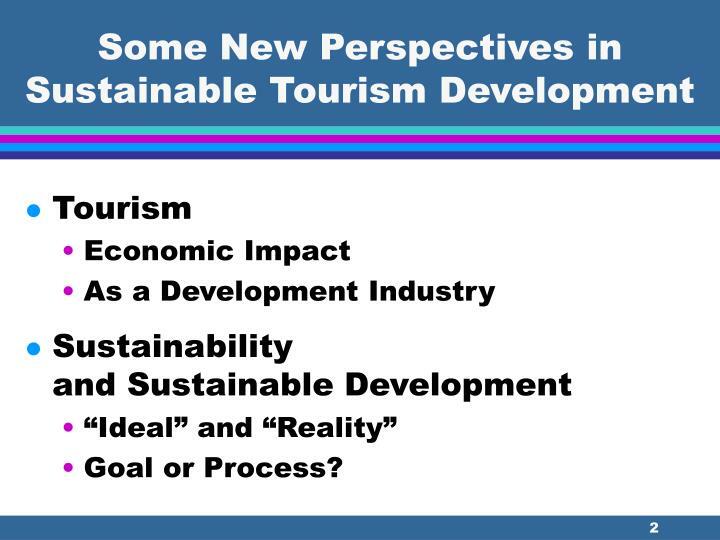 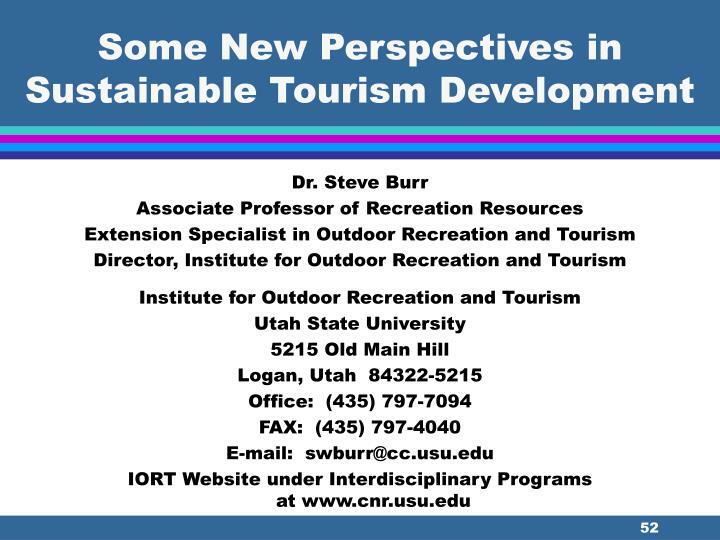 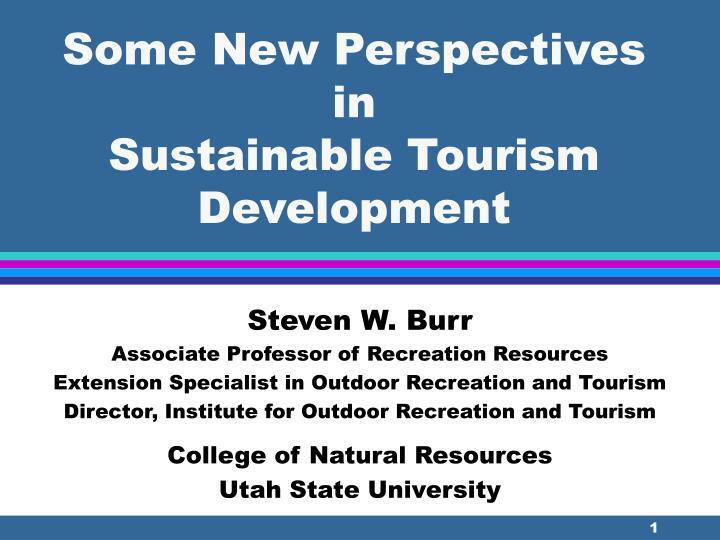 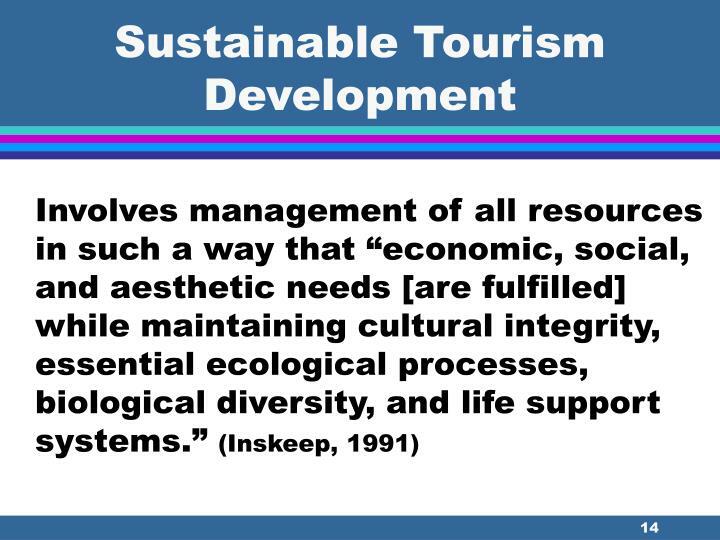 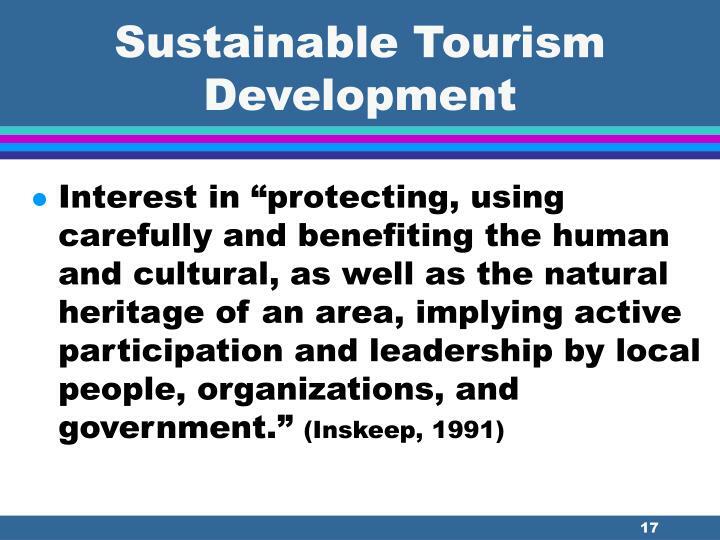 Sustainable tourism development is determined largely by what “stakeholders” want it to be. 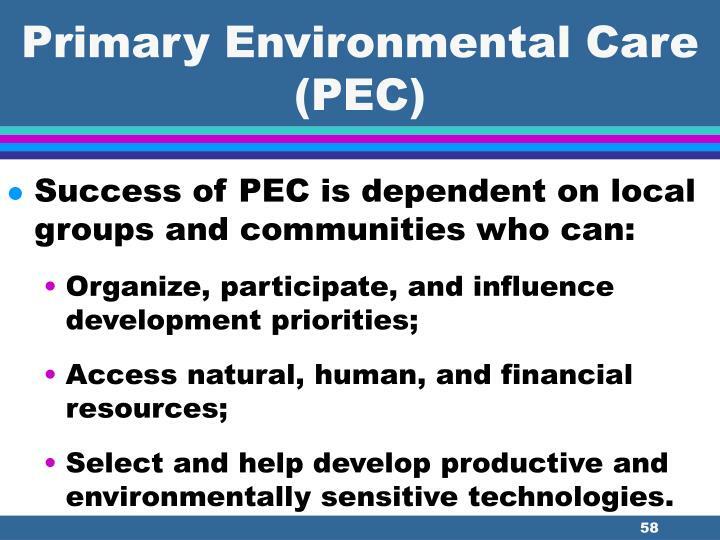 Select and help develop productive and environmentally sensitive technologies. 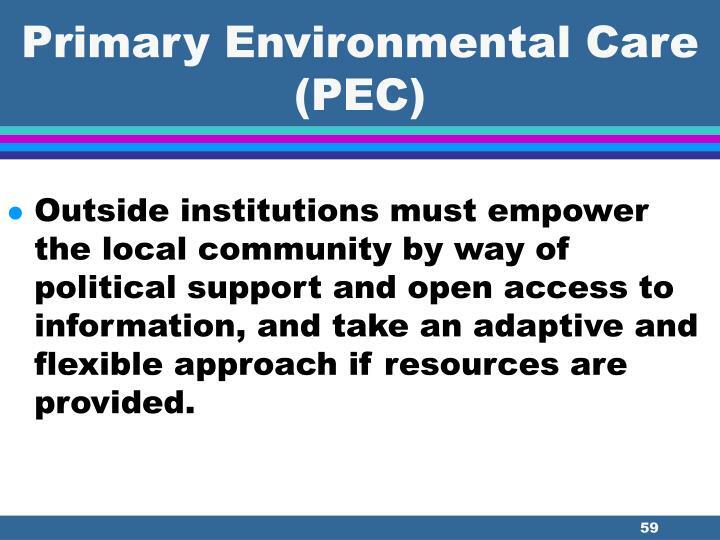 Outside institutions must empower the local community by way of political support and open access to information, and take an adaptive and flexible approach if resources are provided.